So, JetStar Business Class! How was it? We were flying Jetstar to our Tasmanian trip in early 2017. Flew from Singapore to Melbourne then another transit flight to Lauceston (Tasmania). The price was really, really good. 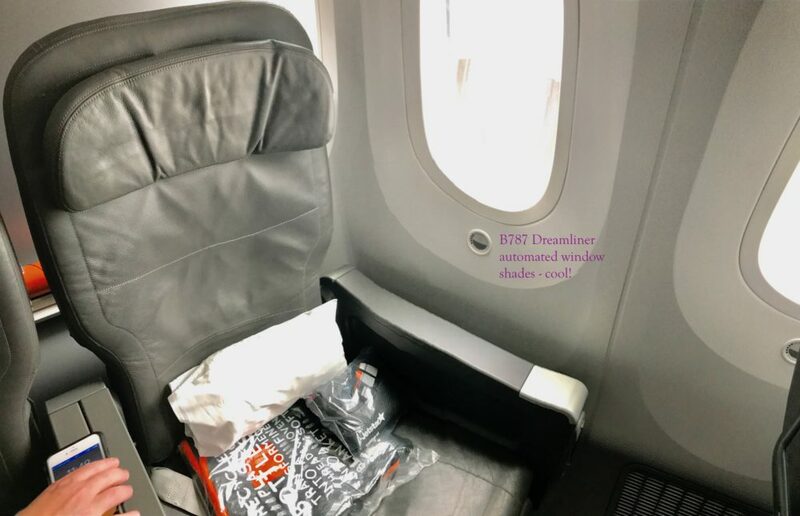 Let’s say if you buy a JetStar Business Class ticket from Singapore to Melbourne for $1,408.66, it is still cheaper (if not around the same price) than flying Singapore Airlines Economy Class the same route. Get it? Good value! Meals, drinks and unlimited snack bar. Timing is reasonable departing at 9pm from Singapore and 12pm from Melbourne. Not too bad. Check in was easy, business class always get the shorter queue. Service wasn’t extra friendly or warm. Well, what can I expect more from a budget airline? The thing about budget airline is that, everything comes with an extra cost. For example, airport lounge only accessible if you purchase your ticket with the “Max bundle”. 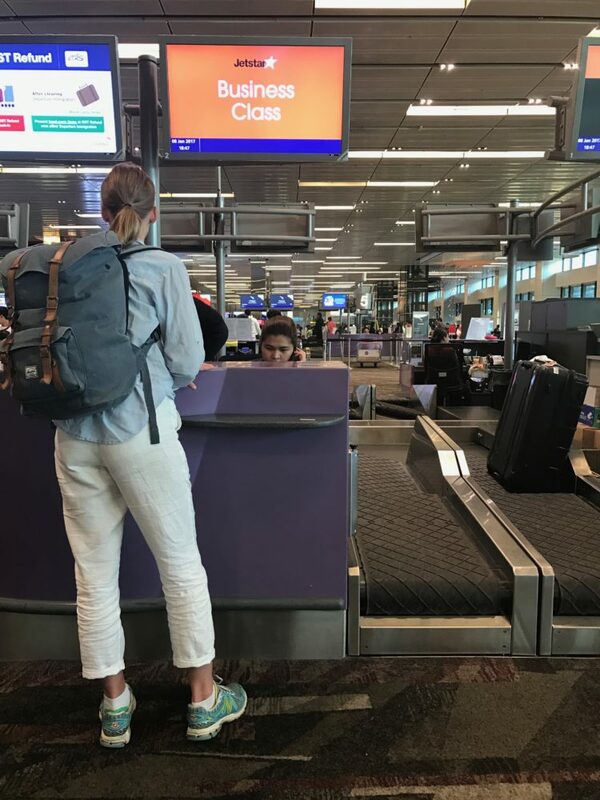 However there is no love lost as Changi Airport is one of the best airports in the world, we were quite happy to do some shopping before the flight instead of paying for extra S$200 to sit in the lounge. 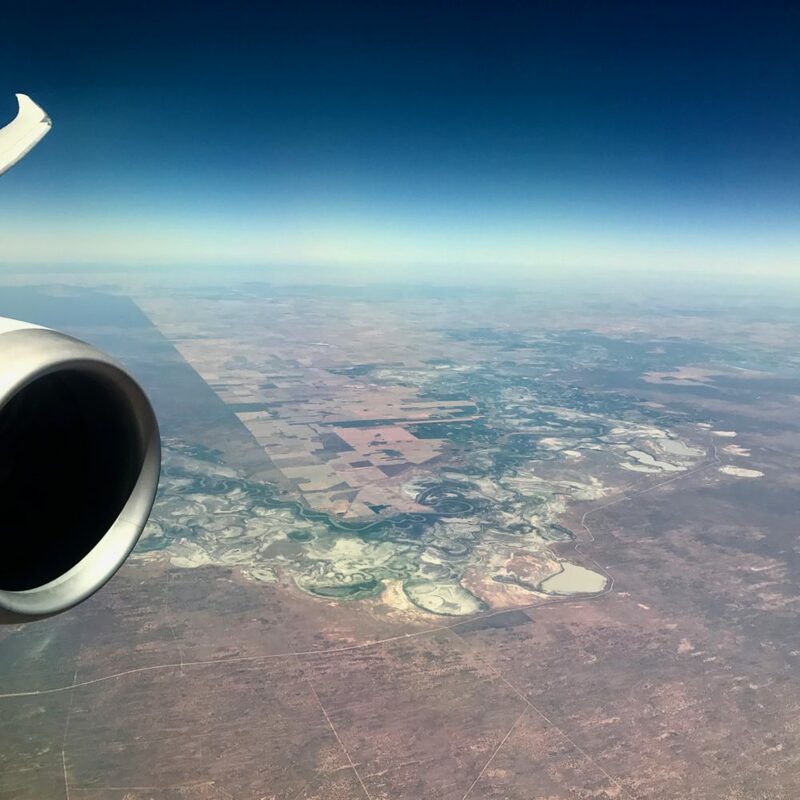 View: Jetstar Dreamliner B787 aircraft – Singapore to Melbourne. Departing at 9pm. There are no more window shades on the new Boeing 787 Dreamliner aircraft. Instead, these magic windows are larger than the older aircraft model. To dim the window just press the button below. Took me a while to get used to it, but it’s pretty cool! Jetstar business class seat is not bad. Quite spacious with preset pillow, blanket, and a comfort pack. Not lay-flat-bed but still better than any other economy class seats. 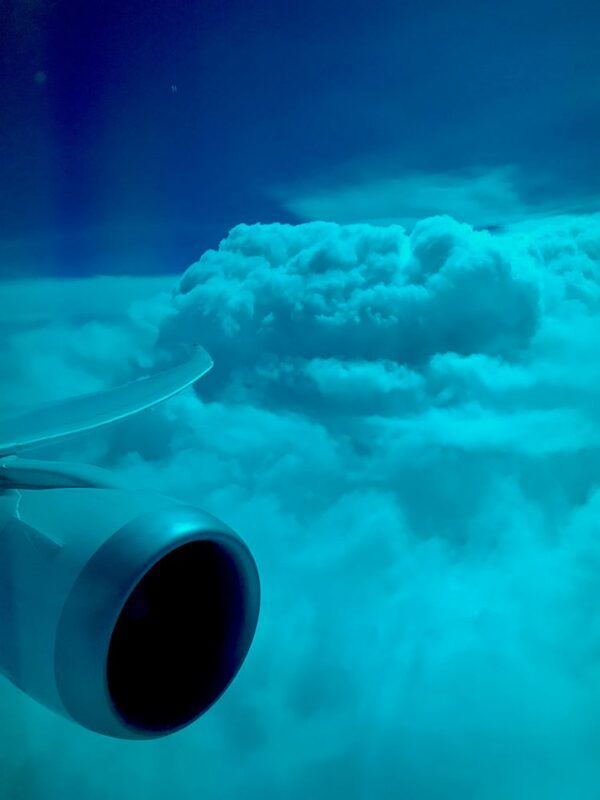 This picture shows the example of dimming effect during a bright day flight. We still get to see outside the window without the bright and glaring sun-ray. Less radiation too, I hope. 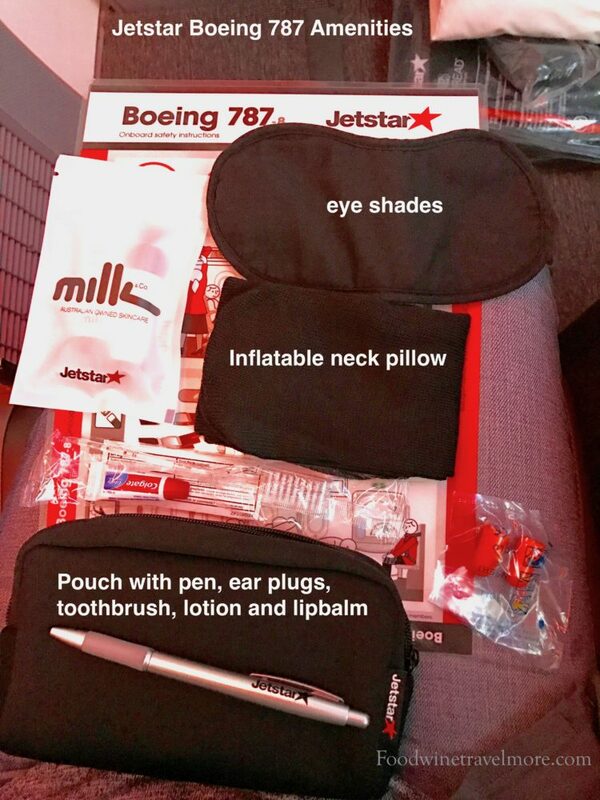 Apart from the preset blanket and pillow (Yes, they are comfortable), business class passengers (from Singapore to Melbourne) also get an amenities pouch with eye shades, ear plugs, toothbrush, pen, lotion and lip balm. Sufficient and thoughtful pack! 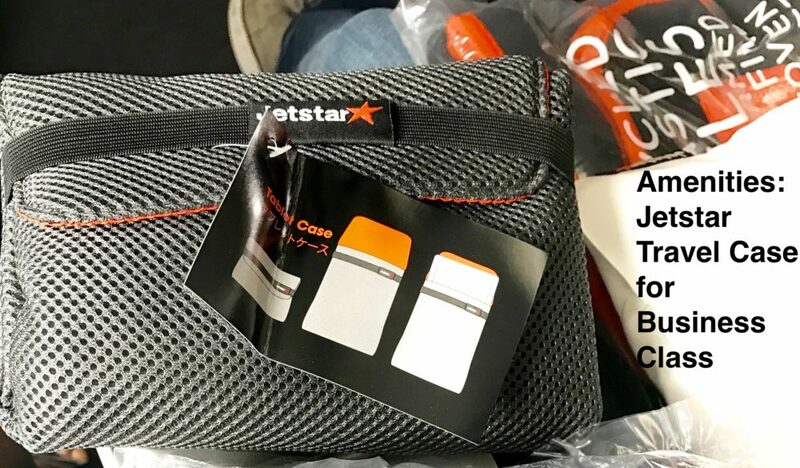 On the flight back from Melbourne to Singapore, a slightly different amenities pack was given – a padded travel case, can use as an alternative bag for your Ipad or cameras. Welcome drinks – Choices of juice and sparkling wine (not Champagne) was served before take off. 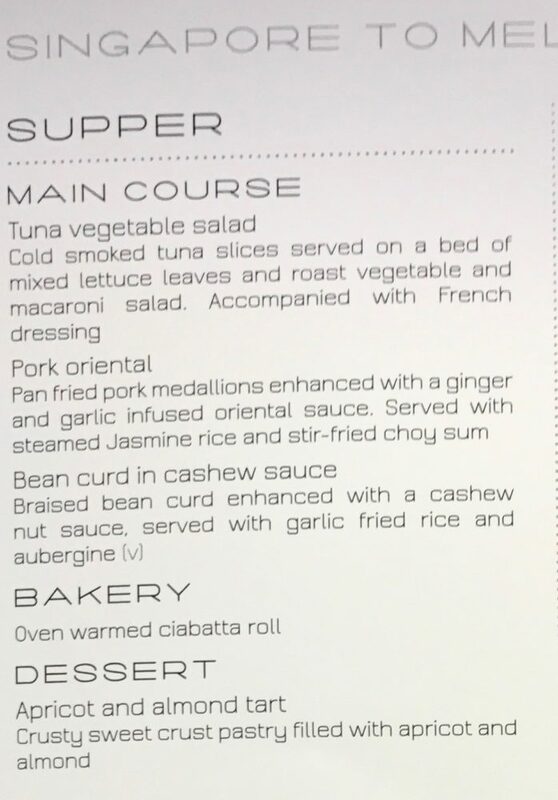 Jetstar Business Class Drinks Menu (No wine menu, we had to ask the crew). 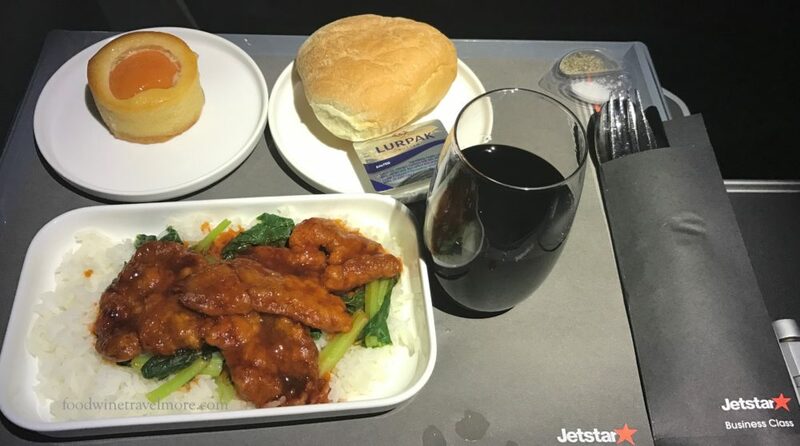 Jetstar also pride themselves with their “premium drinks range includes the award-winning ‘Cellars in the Sky’ wine and French-press Grinders coffee”. Pork in oriental sauce, steamed rice and stir fried choy sum. Dessert: Apricot and almond tart. Breakfast was just some warm bread or croissants, coffee or tea. Not very exciting at all. Meals and drinks weren’t exciting in terms of the choices and quality. There was no wine menu so we had to ask the crew about the wine choices. Food was ok but more like an economy class quality. (Well, we really can’t complain much based on the price we paid.) What you paid is what you get ! 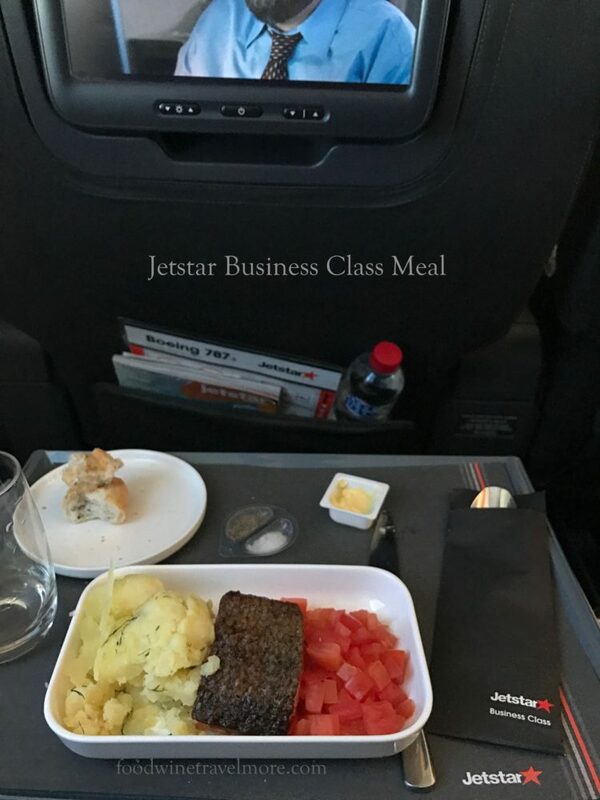 This is the meal I had on MEL-SIN flight – Salmon fillet with tomato and potatoes. Slightly better but still not fantastic. Overall, service wasn’t great, unfortunately. From check-in to onboard the flight, service wasn’t too friendly or too enthusiastic. On my SIN-MEL flight, my screen appeared to be not working, I told the crew about it, and she didn’t even check on my screen then proceeded to reset it. After probably half an hour, it wasn’t working still and nobody came back to check on me. I had to call the crew again, and she just reseted again. Again, no follow-up or whatsoever. It was a night flight so I didn’t care much. It was a night flight and wasn’t a busy flight. Still, I don’t get much help or care from the crew. During the breakfast service, nobody took our meal choice instead tray was put in front of me (assuming that I want croissant). Nobody offered coffee or tea. Nothing. It was terrible even for economy class stand point. Overall, wasn’t very pleased with the service. Crew appeared to be insincere and unhelpful. 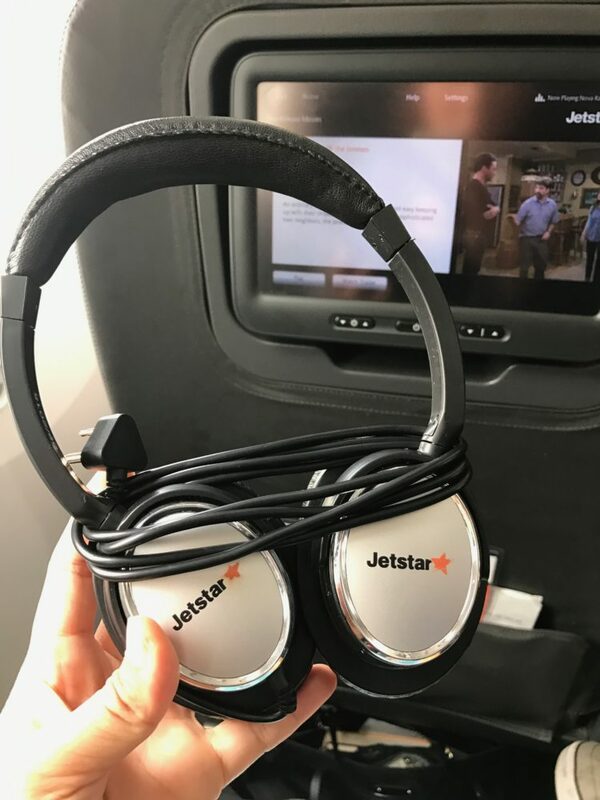 Jetstar business class offers touch-screen entertainment system with quite a few selections of movies, games and music. Modern and up-to-date (when it was working). 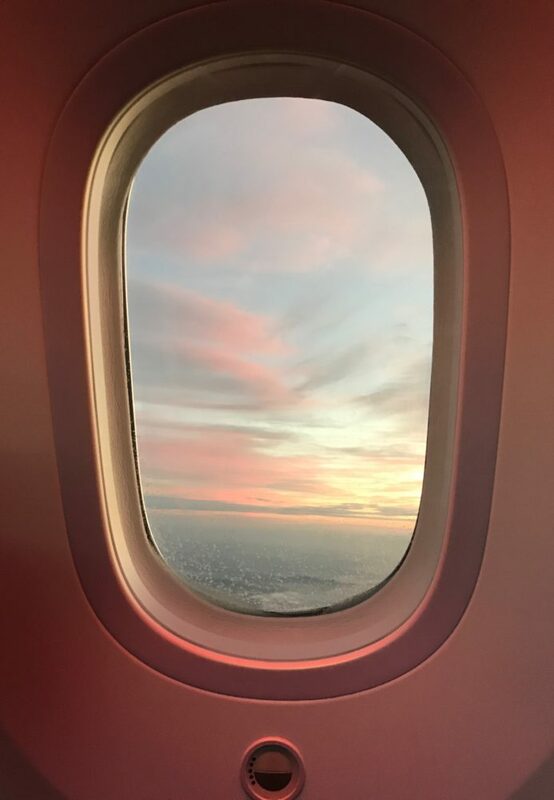 Apart from that, the magic B787 tinted window also gave good viewing pleasure. 11. 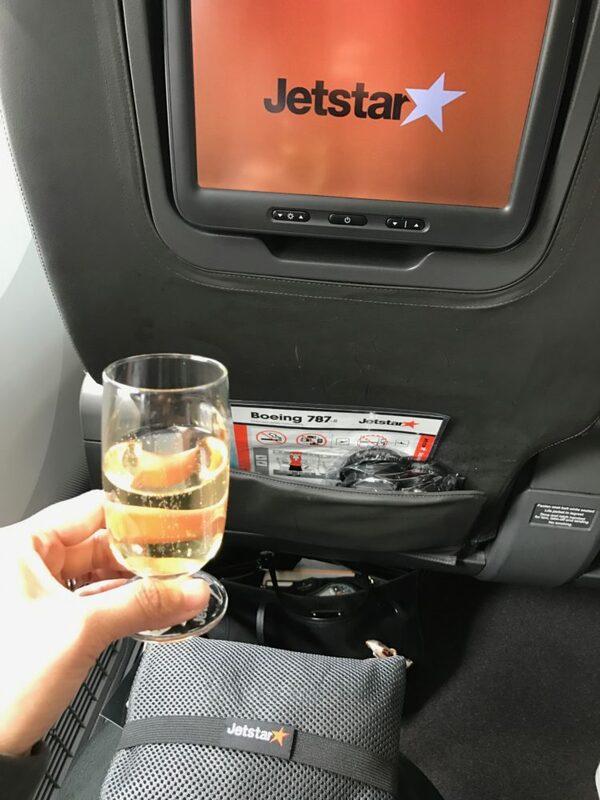 Overall, how was Jetstar business class on B787? For the price we paid, I must say it was definitely value-for-money. For a 7-8 hours flight, anything bigger than the normal economy class seat is definitely a plus. Plus we get first to board and disembark, with priority lane to clear the custom in Australia! For a semi-long flight like this, I am happy just to rest on a wider seat, with some space and some decent entertainment system. Despite the lack of good service and food, it really didn’t bother me much. 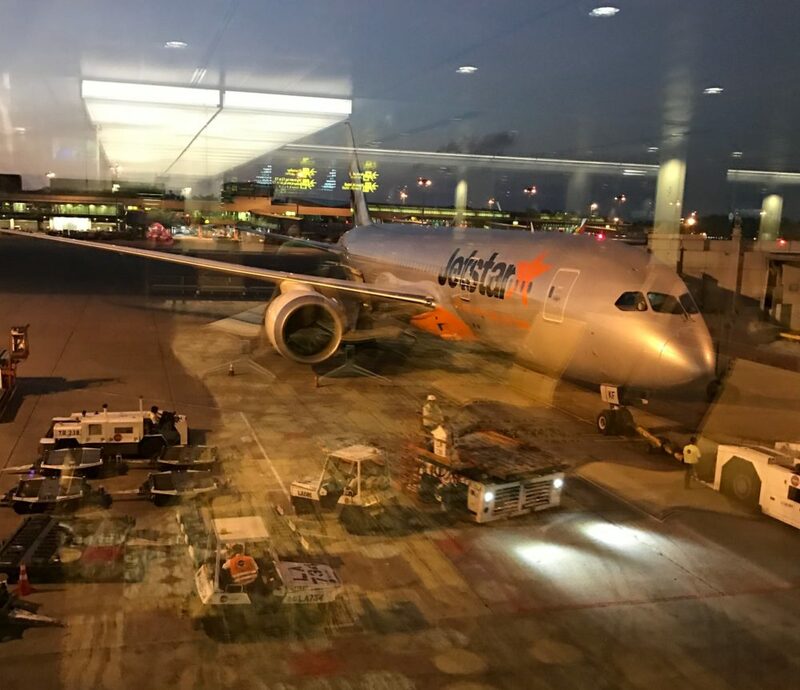 So, overall I would still recommend Jetstar Business if you like to save some bucks for your destination! Previous Article The Liebster Award 2017 – My Blog Has Been Nominated!